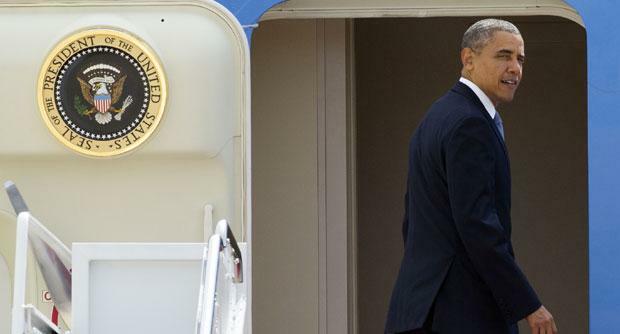 President Barack Obama arrives in Japan on Wednesday ahead of stops in three other Asian nations. Barack Obama is not going to Beijing, but relations with China are expected to dominate his meetings with regional leaders. The US president’s trip – April 23-29 – comes nearly seven months after he cancelled a visit to the region due to a government shutdown. Stops include a private dinner with Japanese PM Shinzo Abe, as well as bilateral meetings with the South Korean, Malaysian and Philippine leaders. Ties between Tokyo and Beijing will be high on the agenda when Barack Obama touches down in Japan. Relations are severely strained over a raft of issues, including East China Sea islands – called Senkaku in Japan and Diaoyu in China – that both claim. Japan controls the islands but Chinese ships have sailed repeatedly in and out of what Japan says are its territorial waters as Beijing presses its claim. Last year, China declared an air defense identification zone over the islands, drawing widespread criticism. Japan depends on the US for its security, under a decades-old alliance that dates back to the end of World War Two. The US, however, is keen for Japan to take on greater responsibility for its own security – an area where Barack Obama and Shinzo Abe are likely to be in general agreement. The two leaders are also expected to discuss the 12-nation Trans-Pacific Partnership (TPP), a trade deal which requires each country to strike an agreement with other prospective members. A rift between Japan and the US over agriculture product tariffs has proven a major sticking point. Barack Obama is also expected to have to balance bolstering US ties with each Asian ally with improving communication among them, particularly between South Korea and Japan. The two Asian nations are at odds over a separate set of disputed islands, as well as historical issues linked to Japan’s war history.